In a survey conducted recently, 4 out of 10 Americans are working more than 50 hours a week and are as likely to engage in risky alcohol consumption which could lead to liver and heart disease as well as mental disorders. Of course, this is not the first time that a study such as this one has been conducted to validate the links between health problems and long working hours. This study, in particular, carried out a cross-sectional analysis of studies that included 333,693 adults from almost 14 countries. When assessing the number of hours worked to the number of drinks, it was found that men consumed more than 21 drinks per week while women had more than 14 drinks. It was also found that those who worked between 49-54 hours were 13% more likely to engage in alcohol abuse as opposed to those who worked for 35-40 hours a week. 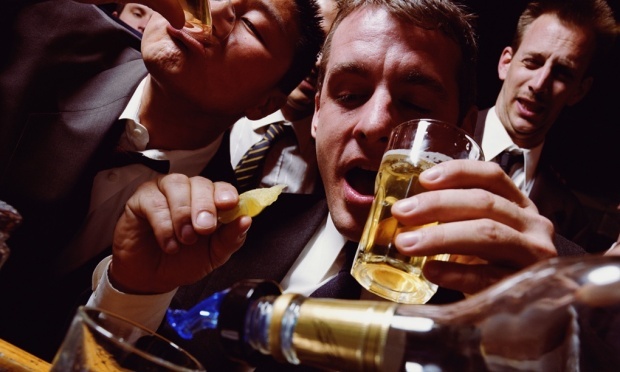 Those who worked for more than 55 hours a week were 12% more likely to consume alcohol at risky levels. Researchers recommend that workplace strategies be put into place to assist employees who work long hours so to restrict their alcohol consumption.